literally, it’s like something out of a zombie film. 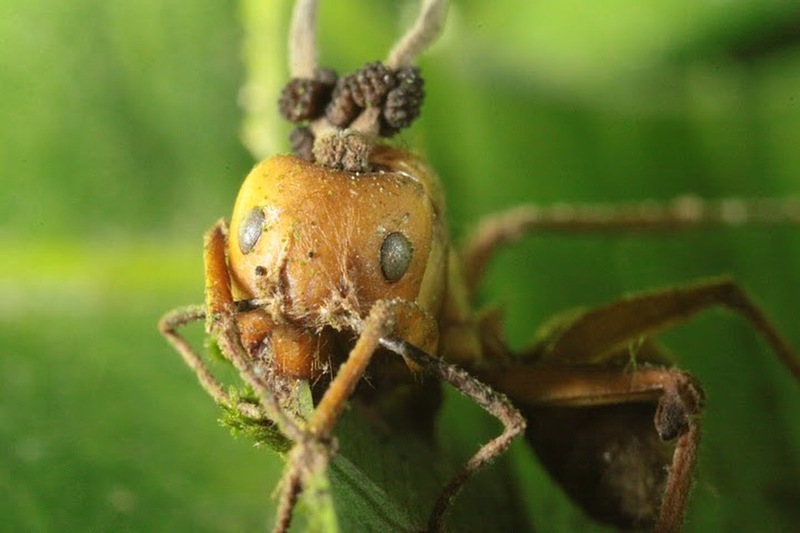 the parasite (called ophiocordyceps unilateralis) waits for an ant to wander innocently through the fungal spores … once one does, the fungus finds its way through the ant before taking over the nervous system and then the brain. this is when the fungus turns full creepy – it now uses the ant to fulfil its bidding. what does it make it do? the fungus makes the ant climb up a tall stalk and bite into a leaf … the ants work is then done, so the parasite kills the ant 💀☹️. what happens next looks like something out of alien; a stalk grows out of the back of the ants head 😷. this stalk subsequently begins dropping more fungal spores onto the poor unsuspecting ants below … lots of them will then face the same fate 🙃.